Meeting Room Power Center is rated 4.0 out of 5 by 1. Today’s mobile professionals depend on their mobile devices for instant access to information and resources. Nowhere is that access more important than in the conference room, where people come together to share ideas and make informed decisions. It’s the last place you want your battery to run out. 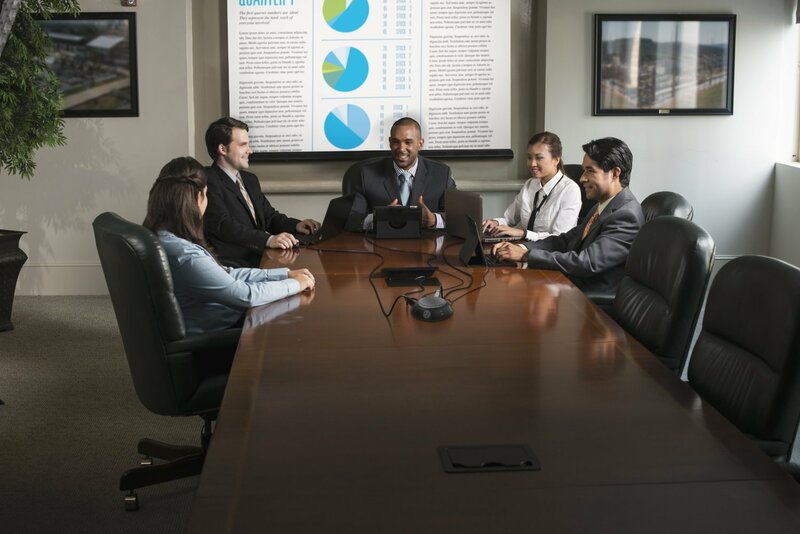 The Belkin Meeting Room Power Center offers surge-protected electrical outlets and USB charging ports to keep everyone’s business-critical devices powered up, no matter how long the meeting lasts. 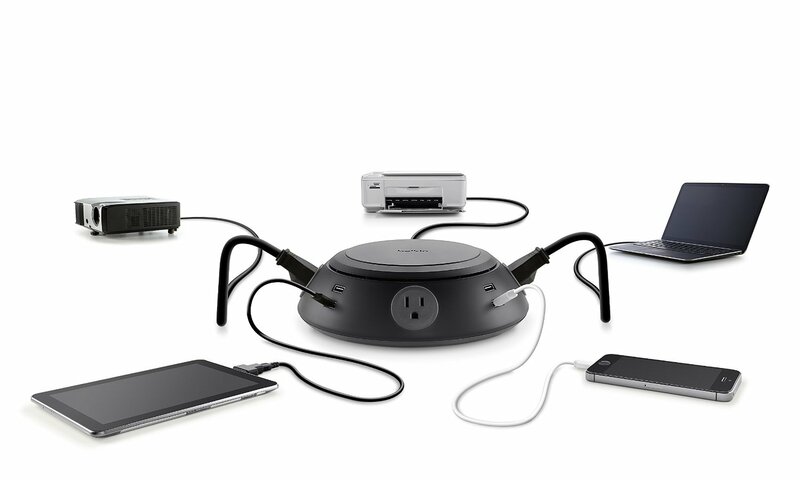 Four surge outlets and eight USB charging ports supply simultaneous power to multiple computing devices and peripherals, from tablets and smartphones to laptops and projectors. 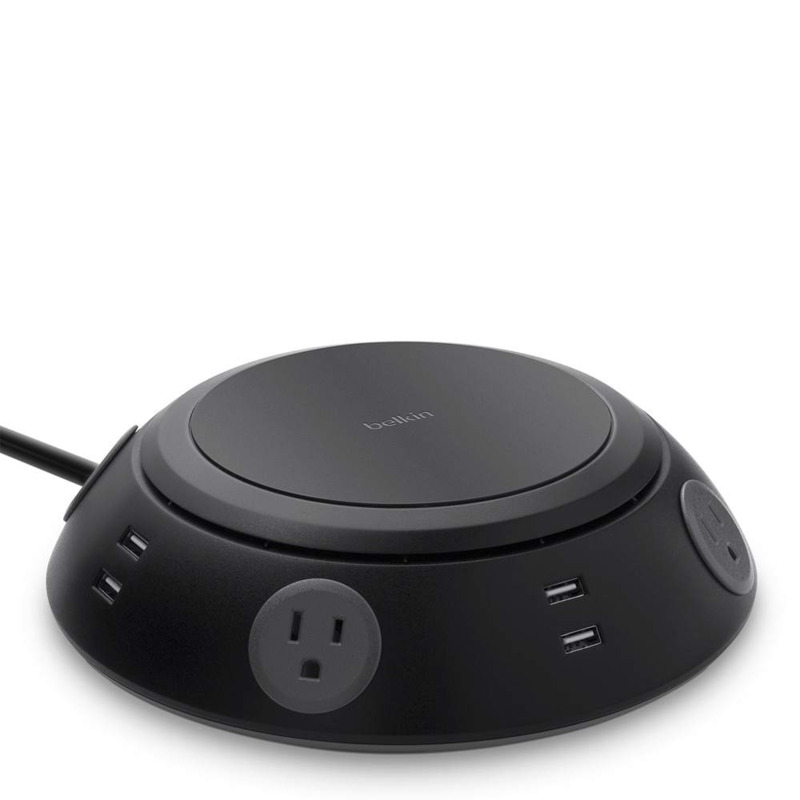 Power monitors, hard drives, laptops and other desktop items while also charging USB-based devices with Belkin's Desktop Conference Room Power Hub. 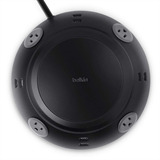 Four surge outlets and eight USB charging ports provide simultaneous power to multiple computing devices and peripherals. Elegantly designed with a piano black finish, the Conference Room Power Hub makes multi-device charging accessible and convenient. 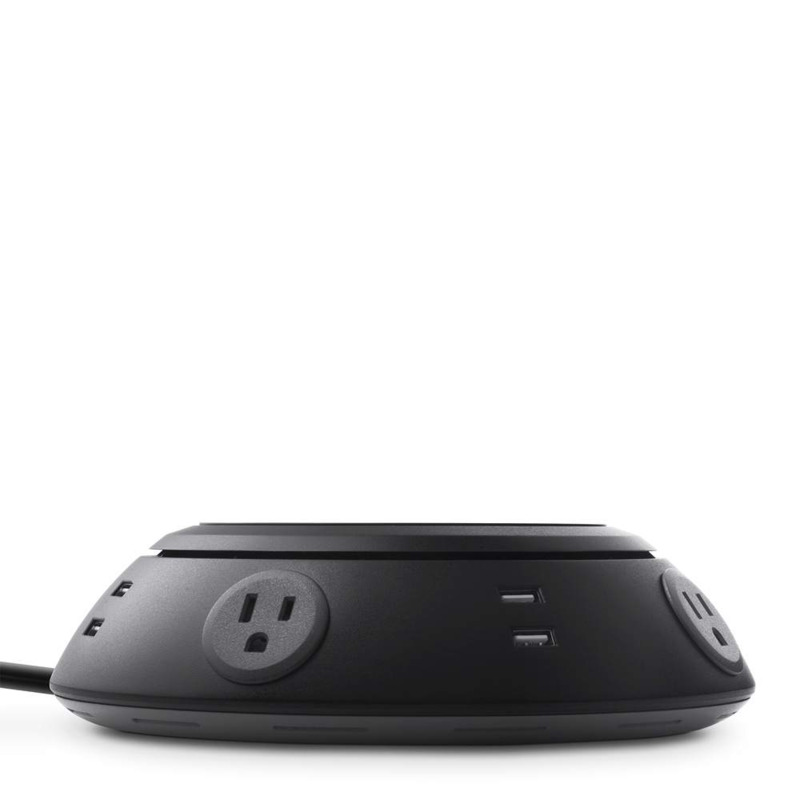 Rated 4 out of 5 by feliper from Looks great; needs longer cable Just bought and set this up in one of our boardrooms as a solution to too many power cables; it looks like it will work well but I really wish it came with a longer cable. Our boardroom is quite large and the cable doesn't allow for people at either end of the table to connect.